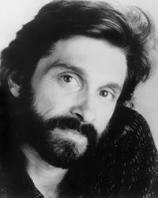 Dennis Boutsikaris won an OBIE Award for his performance in Sight Unseen and played Mozart in "Amadeus" on Broadway. Among his films are *batteries not included, The Dream Team and Boys On the Side. His many television credits include "And Then There Was One," "Chasing the Dragon" and "100 Center Street." What if a number of us simply vanished? Would some of us collapse? Would others of us go on, one foot in front of the other, as we did before the world turned upside down? That’s what the bewildered citizens of Mapleton, who lost many of their neighbors, friends and lovers in the event known as the Sudden Departure, have to figure out. Because nothing has been the same since it happened --- not marriages, not friendships, not even the relationships between parents and children.